Qana is often mistaken for the town of Galileo quoted in the Gospels. 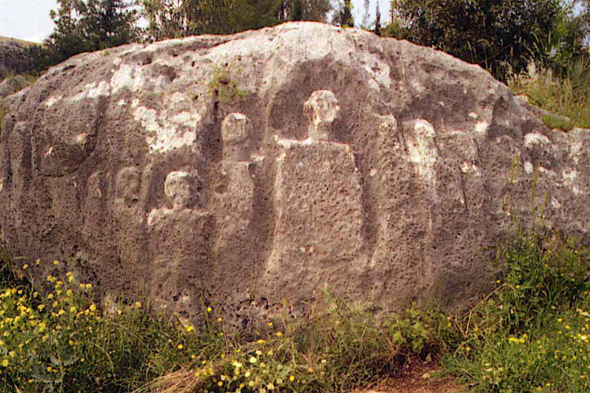 At the entry of the village Wadi Qana is, where the cliff is carved of some figures. The specialists agree to think that they date from the hellenistic time or from the beginning of the Roman time.